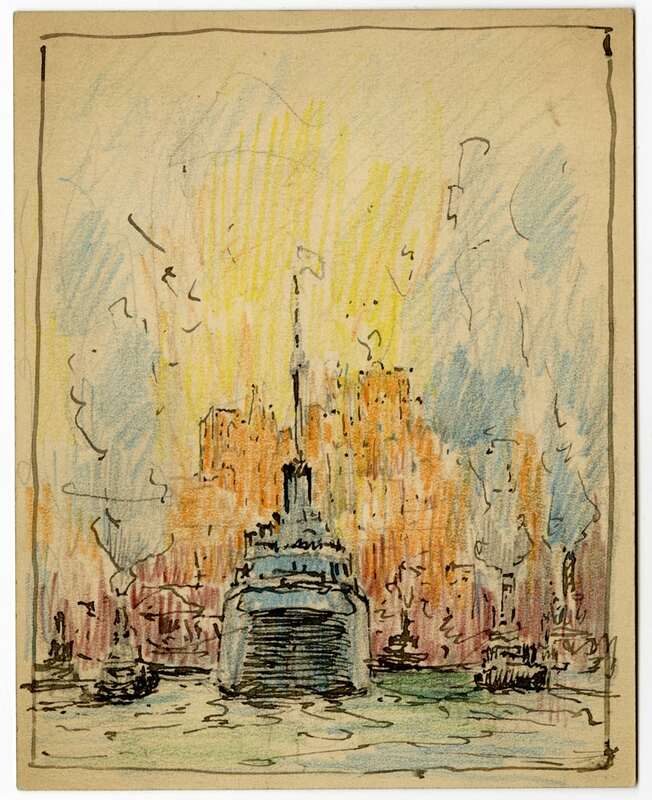 Henry B. Snell, Untitled, n.d. Pencil, watercolor on paper. 4.375 x 5.5 in. James A. Michener Art Museum. Gift of Bob and Marcia Hider. Henry B. Snell, Untitled, n.d. Ink and colored pencil on paper. 5.5 in x 4.25 in. James A. Michener Art Museum. Gift of Bob and Marcia Hider. 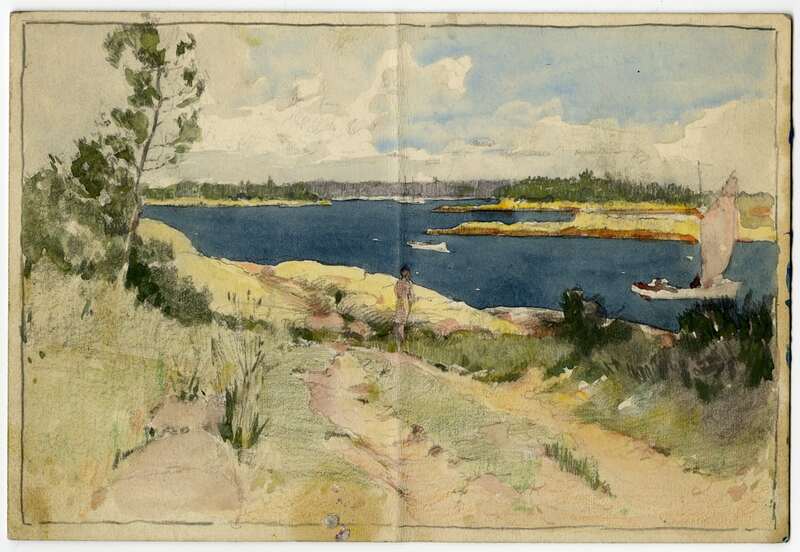 Henry B. Snell, Untitled, n.d. Pencil, watercolor on paper. 4.75 x 7 in. James A. Michener Art Museum. Gift of Bob and Marcia Hider. 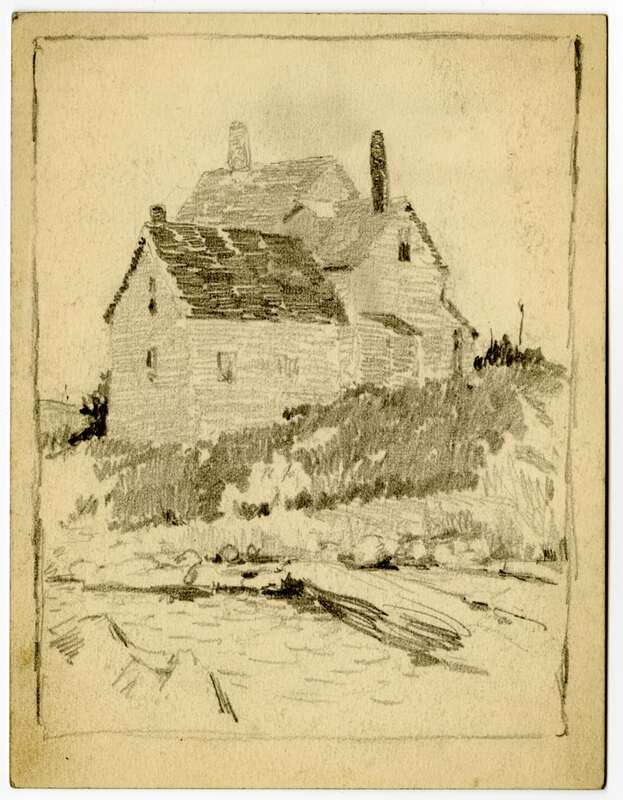 Henry B. Snell, Untitled, n.d. Pencil on paper. 5.375 x 4.125 in. James A. Michener Art Museum. Gift of Bob and Marcia Hider. Henry Bayley Snell (1858-1943) was born and raised in Richmond, England but emigrated to the United States at the age of seventeen to study at the Art Students League in New York. Snell was an eminent landscape painter who specialized in marine paintings and was part of the New Hope School of landscape painters, first arriving in Bucks County to visit William L. Lathrop and his family. Snell and his wife permanently settled in New Hope around 1925 with Snell teaching portraiture at the Philadelphia School of Design for Women, often supplementing students’ education by bringing them to the St. Ives artist colony in Cornwall for the summer. 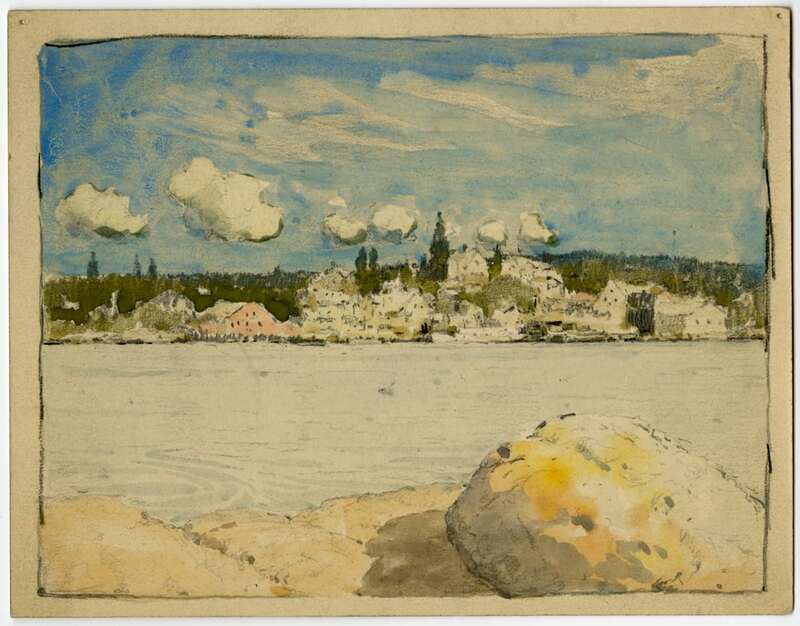 Snell’s drawings and watercolors of his travels to Cornwall and beyond are a special part of the Michener’s collection of impressionist works on paper. As many of these works on paper have never been exhibited at the Museum, Impressions on Paper: Henry Snell offers both a special glimpse at the treasures in the Michener’s vault as well as a scholarly examination of a regional painter capturing impressions abroad.